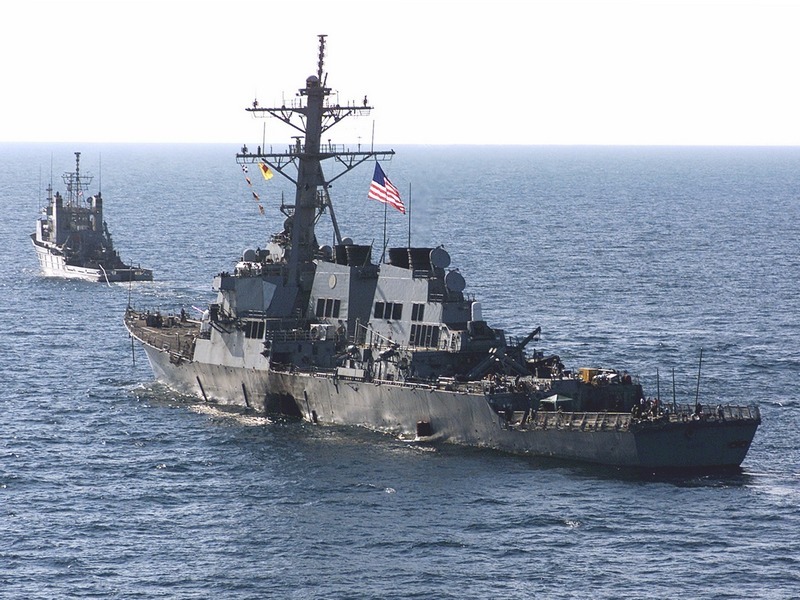 USS Cole, Towed October 29, 2000. One Thursday morning, sailors on board the USS Cole were lining up for an early lunch. Seventeen of them died as an Al Qaeda bomb on board a fishing boat tore through the hull outside the galley. The dead included 15 men and 2 women, one of whom had a young child. For three weeks the crew of the USS Cole struggled to keep their ship from sinking while working waist deep in water with bucket brigades, sleeping on the deck and living surrounded by the terrible aftermath of the terrorist attack. The survivors, wounded and whole, received the words “Glory is the Reward of Valor” written on the bent steel removed from the site of the explosion that tore through their ship and their lives. Now he has been sent to the homeland of terrorism, Saudi Arabia. Very little has changed since then. Muslim terrorists strike, and we are told to close our eyes and appease harder or we risk inflaming the tender sensitivities of the Muslim world. The USS Cole attack sent a message to Islamic terrorists that American lives did not matter to our government. Obama’s release of Sabri tells ISIS, Al Qaeda, and its brethren the same thing once again. Next Article Fetal Tissue Research: What Really Works May Surprise You!